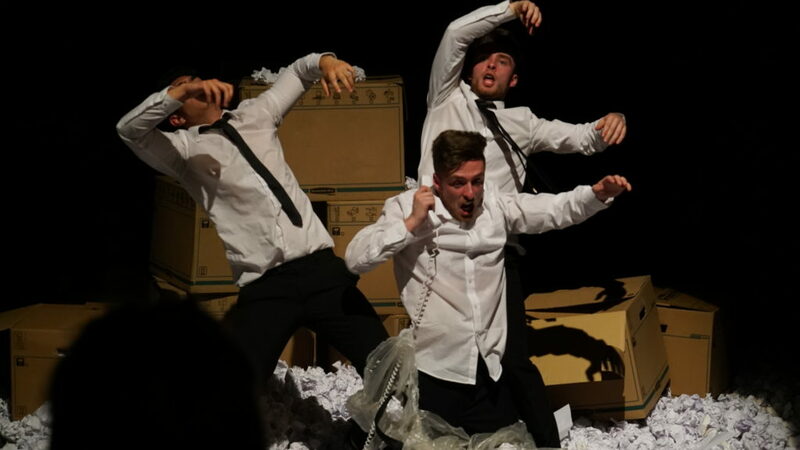 Our physical theatre workshops are a fantastic way to get students playing and practically engaged whilst introducing them to the idea of using the body as the starting point for creating work. Whether you would like the workshop to have a specific focus on devising, skills input or a particular practitioner, these workshops will all help to develop students’ skills in workshops as an ensemble and become more responsive to other performers. Schools and colleges can book workshops and/or performances by filling out a Workshop Enquiry Form. Our neutral mask workshops are a brilliant way of giving students to opportunity to learn a different way of using the body on stage. We understand that this can be a difficult style to learn, but using our energetic and playful style of working, students soon lose that inhibition and can start to unlock their physical potential. Through these workshops, students will learn the importance of specific, controlled movement in conveying emotion and intention whilst developing confidence to work physically both by themselves and in a group. Our puppetry workshops are a great way to introduce students to this ever-more popular and valuable performance skill. Our introductory workshop teaches students about Bunraku puppets, giving them not only the basic skills needed to bring puppets to life (gravity, breath, eye-line) but also responsiveness, focus and working as an ensemble. Our Contemporary Puppetry workshop looks at using everyday objects as puppets – and the possibilities presented by doing so – which are useful not only in developing puppetry skills but also skills in devising work. Our workshops in Clowning are fun, loud, full of energy and are great for engaging students of all different interests with physical comedy. Through these workshops students will learn about the style and how to use the skills developed in mask work, physicality and vocal skills in other styles of performance.